For several years I have been warning people about a “golden calf” being worshiped in Israel: the dubious “matriculation certificate eligibility” standard, which serves as a tool in the hands of local authorities and the Education Ministry to satisfy parents’ concerns regarding the future of their children. Data about matriculation eligibility rates for the country or for a particular city lulls us into thinking that things are good – that more children are receiving matriculation certificates. But there is a whole sector of students who are not served by this dubious seal of eligibility, which in fact hampers their future. These are the high school graduates who indeed receive a certificate, but one that does not enable them to integrate properly into academia or the job market. As the Director-General of Israel Sci-Tech Schools Network I recently met with 12th grade graduates at one of our schools in the Arab sector who had completed their studies and reached a matriculation eligibility rate of close to seventy percent. The school’s teaching staff had doubled their eligibility rate over the past five years, and I came to congratulate them and the graduates on their achievements. Six of the graduates approached me at the end of the visit, claiming that on the one hand they had indeed been challenged, but that it was really all a sham – because with 24 matriculation points they couldn’t gain admission to further education nor could they find suitable employment to earn a decent living. Education Minister Naftali Bennett has recently declared that he wants to promote excellence in mathematics, but it is not clear how publicizing the eligibility rate will help achieve this if it includes the numbers for the lowest, three-point-level matriculation exam. In fact, the current situation encourages local authority heads and principals not to have students sit for the five-point exam, in case they fail and thus become ineligible for a matriculation certificate, compromising the success rate statistics. Publicizing eligibility data ranked by local authority seriously detracts from the quality of the certificate and certainly does not promote excellence. Eligibility creates a shallow discourse that is both obsolete and misleading; it is as if we have gone back 40 years in time to the period when having a matriculation certificate assured employment and economic success. The public looking through the eligibility rankings is privy to populist information about the leading municipalities for matriculation eligibility and those that are failing, but are they shown any details about the quality of the certificate? How many students of a particular age group are eligible for admission to colleges and universities? How many students graduated with five-point matriculation studies in mathematics, physics, technology, literature or art? Populism rules all, mayors put up billboards at the entrance to their town citing the matriculation eligibility rate – but mentioning nothing about the quality or excellence of these certificates. Meanwhile, eligibility may have risen, but quality has declined. This is not a new issue, it is a truth that we at Israel Sci-Tech have long been trying to address. With more than 200 institutions and 100,000 students, Israel Sci-Tech Schools represents the largest independent network of science and technology educational institutions in Israel. We have been successful at transforming under performing schools across the country, but particularly in poorer parts of the country, by developing a curriculum which focuses primarily on science, technology, engineering and mathematics. The students in Israel deserve to be given proper opportunities. Therefore, the “ratings” system of eligibility must be stopped, otherwise every year we will continue to bemoan the low scores Israeli students achieve on various indices. Israel needs to set a new index of quality for comparison and competition between local authorities. This index must show how many students are eligible for university admission, for higher education in engineering and science, in the arts and in other tracks. Matriculation eligibility is a hollow slogan that adversely affects excellence and threatens Israel’s future research and economy. 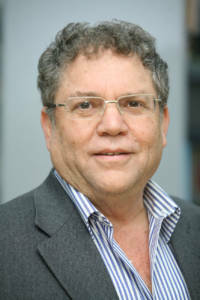 The writer is the Director-General of Israel Sci-Tech Schools Network.